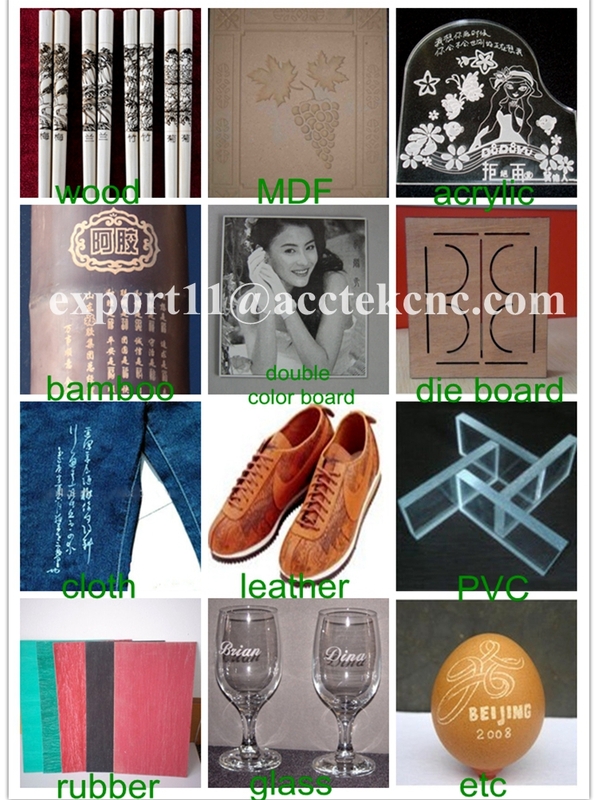 1.Cutting materials Arcylic, Wood, MDF, Plywood, Crystal, Paper, Cloth, Fabric, Leather, Textile, Plastic, Rubber,etc. 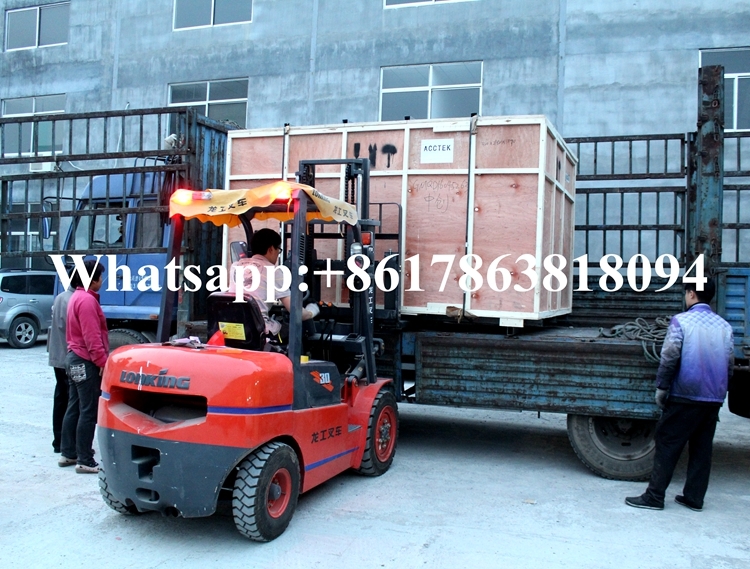 2.Engraving materials Arcylic, Wood, MDF, Plywood, Crystal, Paper, Cloth, Fabric, Leather, Textile, Plastic, Rubber, Stone/marble/granite, Bamboo, Grass, Ceramics,etc. 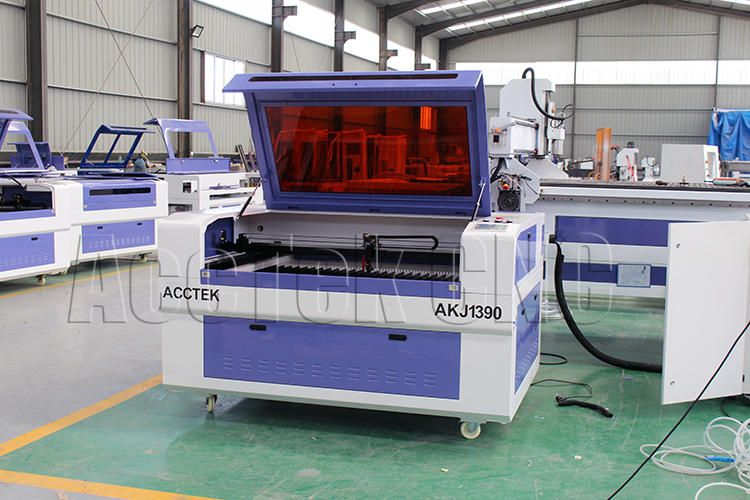 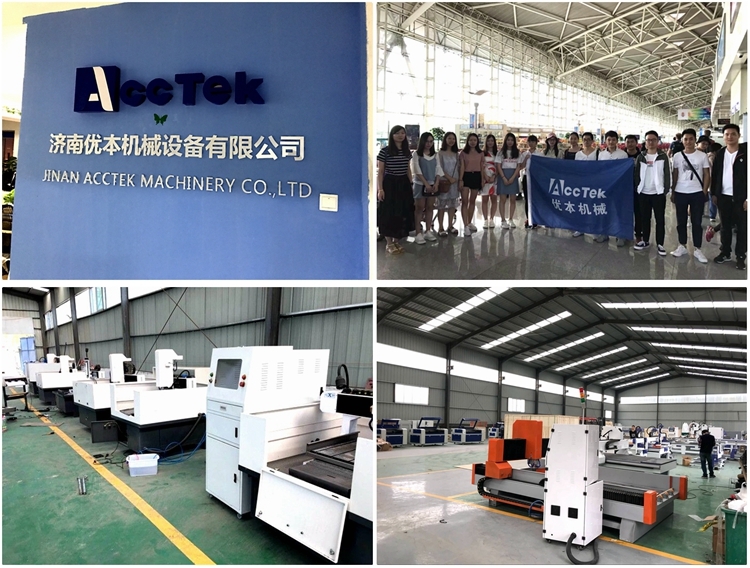 **AccTek have 13 years expensive on cnc router machines, laser machines and plasma machines manufacture till 2018. 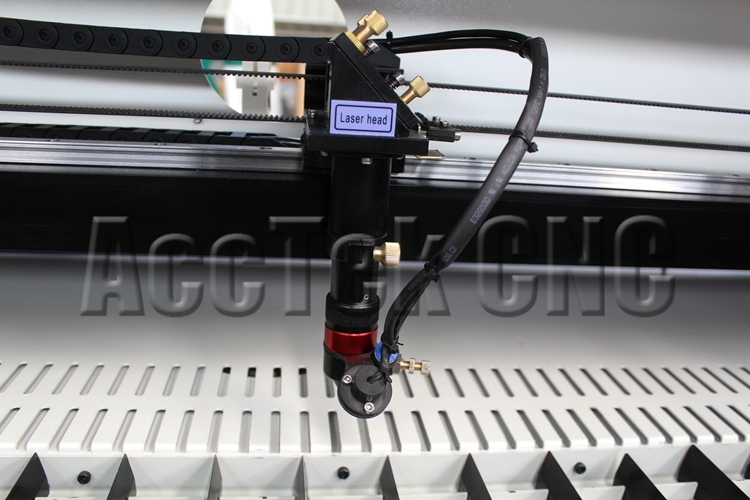 **High quality cnc parts and skilled mechanic makes the hign quality and durable machine. 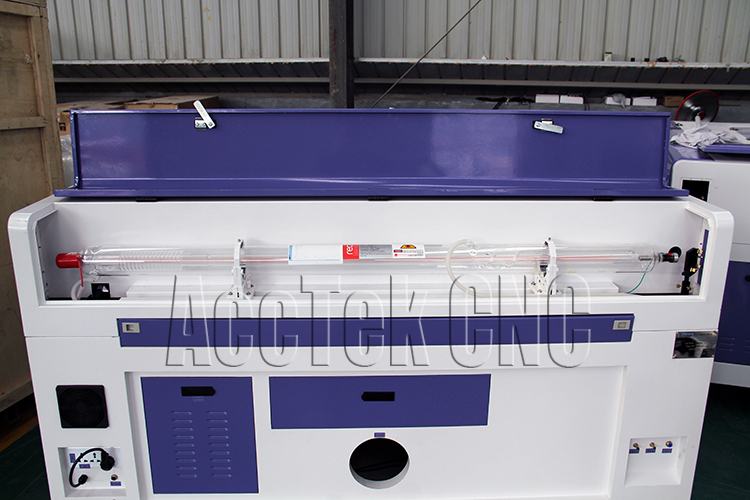 Stock or custom configurations are our specialty. 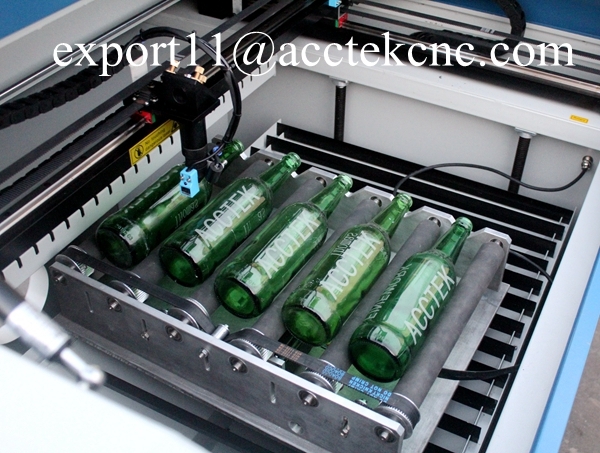 **AccTek have integrated after-sale service department. 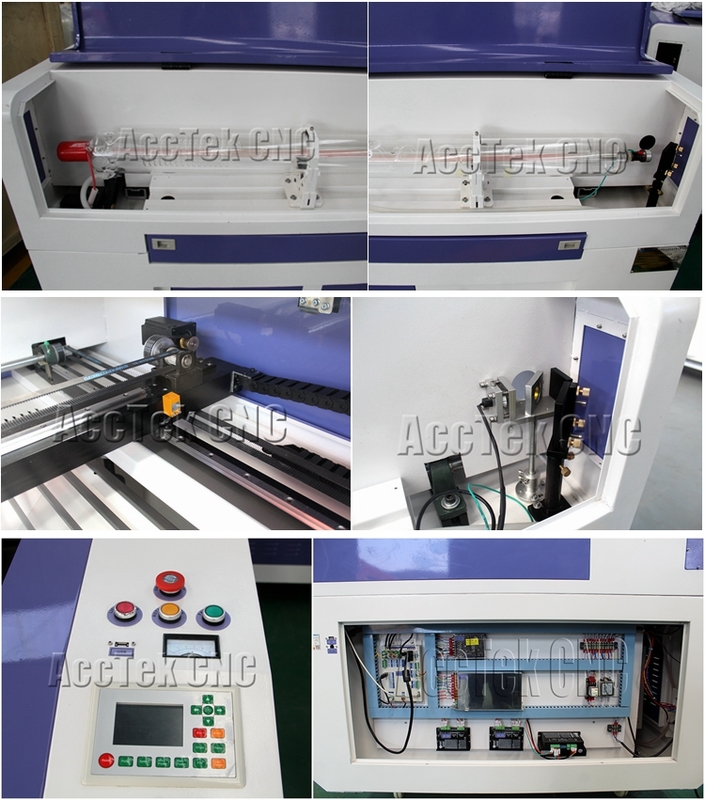 You will not worry the machine set up as a start user.